Welcome to the O'Grady's Townhouse Bed & Breakfast Kerry. With panoramic mountain views, O'Grady's Townhouse Bed & Breakfast offers delicious Irish breakfasts, free parking and free Wi-Fi. Surrounded by beautiful countryside, O'Grady's is a short ferry ride from Skellig Michael. For more information or to check the availability of this B&B in County Kerry please click on the availability link above and below. 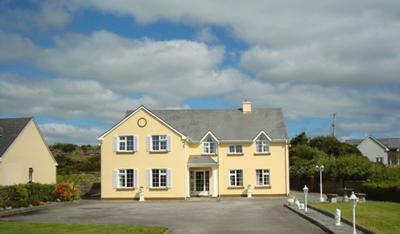 The O'Grady's Townhouse Bed & Breakfast is in Waterville Kerry, Ireland. The address is Spunkane, Waterville County Kerry.